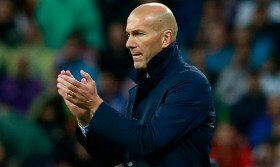 Real Madrid boss Zinedine Zidane is reportedly yet to give the go-ahead to pursue the signature of Eden Hazard from Chelsea during the summer transfer window. The Belgium international is currently contracted to the Blues until the summer of 2020 and he has shown no intention of extending the deal further up to now. According to Marca, both Hazard and Los Blancos are keen on pushing through a summer transfer agreement but Zidane is yet to give the green light regarding the same. The French tactician has been afforded with some control over the club's transfer proceedings for the summer and it is claimed that he will have the final say on the pursuit of Hazard. The European champions are understood to have already failed with a £60m bid for Hazard and reports suggest that they may have to at least double the package to tempt the Blues into a summer sale. Hazard has netted 16 goals through the current campaign for Chelsea.